L-R Hannah Baldwick, Chris Williams, Adam Kingswood, Sarah Judd and Kristine Princa. Staff at Nottingham based lettings and management specialists, Kingswood Residential Investment Management, are enjoying a double celebration after receiving the news that the firm has made the finals in a prestigious industry award and one of its staff has become accredited by the industry’s foremost professional body. The company, which was established by Adam Kingswood in 2016, has been shortlisted in the ‘Newcomer Of The Year’ category in the finals of The Negotiator Awards. A second cause for celebration at the firm was the news that lettings consultant Christopher Williams had successfully obtained his NFOPP Qualification to gain his personal ARLA membership and ‘MARLA’ status. The award by ARLA Propertymark, the letting and management industry’s foremost professional body, is awarded to individuals when their NFOPP qualification is passed and qualifying years of experience are gained. Christopher is the second member of the Kingswood team to achieve this accreditation, with Director Adam also being an ARLA member. Commenting on his achievement, Chris said: “Being an ARLA member or an ARLA accredited firm is not something that is mandatory within the lettings and management sector. 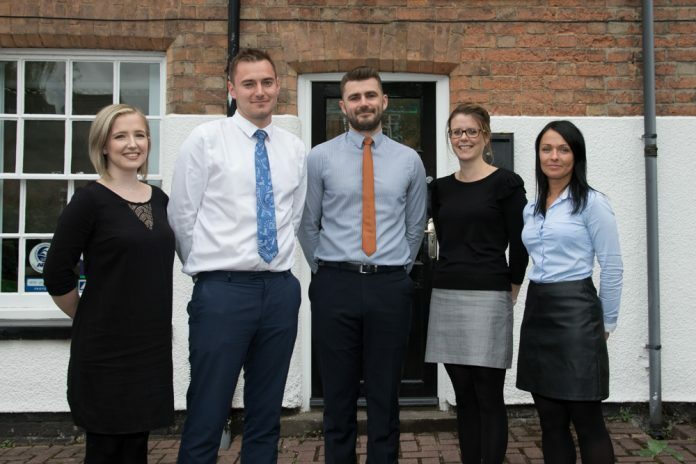 Kingswood Residential has grown almost five-fold in its first two years of business and now manages over 270 properties across Nottingham and Mansfield for its landlord clients. The company has five full time members of staff at offices across Nottingham city centre and Mansfield.